But is unofficial Jackson 5 mash-up better? Dig out your stem files: Falling Down will be the first official Oasis remix. 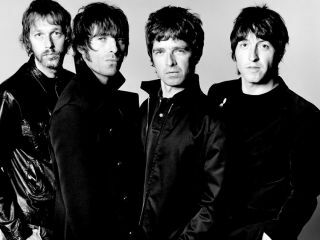 Oasis have revealed that the B-side to forthcoming single The Shock Of The Lightning will be their first-ever officially sanctioned remix. This will be a Chemical Brothers reworking of Falling Down, a track from the band's soon-to-be-released long-player Dig Out You Soul. The remix in question actually leaked onto YouTube several weeks ago, though it remains to be seen whether this is the final version or simply a work-in-progress. The Chemical Brothers have worked with Noel Gallagher before, of course, most notably in 1996 when they collaborated to chart-topping effect on the single Setting Sun. Gallagher senior also guested on Let Forever Be, taken from The Brothers' 1999 Surrender album. Unsurprisingly, bootlegs of unauthorised Oasis remixes have been doing the rounds for some years now - if you're looking something decidedly odd, listen to what happens when the band's 1997 single Stand By Me collides with The Jackson 5's ABC. The Shock Of The Lightning goes on sale on September 29. Dig Out Your Soul will be available from October 6.